Fundraising hasn’t gotten any easier in the last 10 years. Donors have many more options to give, and because of that, it is incredibly hard for any one organization to stand out and communicate in this cluttered environment. So it is of no surprise that fundraisers are looking for the “shiny new thing” to help them bring in new money to their organizations. Free or inexpensive tools are readily available to help market your cause, and raise money quickly. Crowdfunding, the ability to rally your friends and colleagues around a certain cause and have them donate online, has taken off, with websites like Crowdfunder in the UK or Indiegogo in the US, and there are now many crowdfunding platforms to choose from; each with their own strengths and weaknesses. However, it isn’t the digital platform that will dictate success in raising money online. The successful campaigns have certain traits in common, and paying attention to them will help you launch a crowdfunding campaign of your own — and even help you retool your traditional fundraising efforts to market to a new generation of philanthropists. 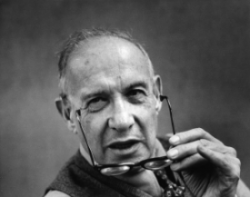 Peter Drucker, the godfather of business management, also authored and lectured on nonprofit organizational structure and management. He states that a healthy and growing organization needs four things, namely: Mission, Marketing, Manpower, Money. Mission – This is the product of your organization. What is your core business? If you have clarity of what your mandate it becomes easier to transmit that mission to your intended audience in clear and concise ways. Marketing – If you are the only person to know about your cause, it is pretty difficult to expand your reach. Finding the right tools for the right audiences is an imperative if you are hoping to connect and engage with new or existing donors. Manpower – It is hard being a one-person show. Your contacts only go so far, and you only have so many hours in the day to get the job done. You need to recruit influential people to serve as ambassadors to help advocate and raise money for your cause. Money – If you have mission, marketing and manpower in place, you will need to create natural avenues for giving throughout the year, that will appeal to your engaged demographics. This is the way for your engaged people to convert their passion in to action. Successful crowdfunding campaigns take these 4 elements to heart. Just as they impact your traditional campaigns, if they are incorporated into new platforms, it will translate into fundraising success. Is your cause clear and concise on the crowdfunding platform? Is it providing both emotional connection and data to show the vision and impact of their giving? Are you using videos or info graphs to demonstrate this vital information on your mission? Is your crowdfunding campaign set up in a way that makes it easy for your audience to share it with their friends and family? Are you providing easy-to-paste web links to the crowdfunding page, icons to Youtube, Facebook or Twitter, where your audience can watch your mission in action and make it available to their own networks? Are you sharing your crowdfunding campaign with the RIGHT people? Who has the strongest and largest networks online and offline. If online, are you giving them leadership roles to champion the crowdfunding campaign? If offline, are you providing emails and flyers for them to share with their networks? How easy is it to donate on the crowdfunding page? Are there perks when donors support your cause at various levels? How do you recognize donors on your page to inspire others to step up ad contribute? Jonah Halper is a Managing Director of ALTRUICITY, specialist consultants in fundraising strategy.